What can be said about this woman who was the heart and soul of Fox Valley Fire? During her career she touched each and every one of our employees. Carol simply made Fox Valley Fire a better place and we are better for having known her. Carol worked for Fox Valley Fire three different times throughout her career. For about a year, starting in 1964, Carol typed live dictation in her kitchen from our founders (Carol lived next door to the Dale and Lorraine Tatge.) From 1972 to 1974, after Carol’s three children were in school, Carol worked as a Secretary (what we called Administrative Assistants back in the day) at the Highland Avenue location. 1995 brought Carol back to Fox Valley Fire for her third and most significant role. Putting together a telemarketing sales program was her first order of business. Carol almost left in 1996 if it wasn’t for Ken needing someone to fill in for Deb Chin’s maternity leave. Carol found herself in the role of Ken’s assistant for the next four years, while also taking on Human Resource duties. In 2000 Carol became full time HR Manager and upon Jan Straugh’s retirement in 2003, she added Office Manager to her title. Carol took on many challenges in her tenure; new phone systems, computers, software, interviewing, terminations, personnel squabbles, dress code, training, mentoring, legal matters, company handbook, scheduling, and overseeing an entire company move to our current building in 2005. Carol served as a leader on several committees and her influence on this company is still felt to this day. Carol fiercely loved her family, raising three children; Sandy Pope Castelvecchi, Dale Pope, and David Pope. Carol adored her five grandchildren; Dina (Ray), Anthony, Dominick, Marina and Jaymin. Carol, know that you are respected, admired and loved. Thank you for your extraordinary contributions to this company and to so many individuals. Kathleen joined our Fox Valley Fire family just before her 64th birthday. That’s when most people are contemplating retirement. Kathleen had wonderful energy and a strong desire to work and contribute. She started out in General Office, receiving, distributing and preparing outgoing mail (before email was a thing). Kathleen put her desire to learn new skills to work in billing, becoming a very diligent and respected employee. Kathleen won the Outstanding Support Staff award in 2006. Kathleen’s work ethic and honesty is summed up by the fact that occasionally she wasn’t finished with her daily billings at the end of her eight hours, so she would clock out and stay to finish. She didn’t tell anyone, but when it was discovered, she was compensated and told she wasn’t to work for free. That was just Kathleen’s honesty and belief that a day’s work should equal a day’s pay. Kathleen retired from Fox Valley Fire in 2009 at the age of 76. Family was the focus for Kathleen and her husband, Ken of 62 years. They raised two sons and have two grown grandchildren, and two great-grandchildren. Kathleen was born in Lynn, Arkansas which provided that little southern accent that just fit her sweet personality. Thank you Kathleen for your work ethic and over 12 years of service. You will always be part of the Fox Valley Fire Family. Jan joined the Fox Valley Fire & Safety family way back in 1974. She served as our Human Resource Benefits/Payroll administrator until her retirement 39 years later, to the day, in 2013. Back in 1974 all of her work was done before the aid of computers or outside payroll services. Jan did it all, keeping meticulous manual records (remember the Rolodex?) and issuing the weekly payroll. Jan’s skills expanded as our company grew and computers aided her ability to process everything for our growing company. Jan was reliable, conscientious, trustworthy, detail driven, and always guarded a fortress of confidential information. Away from work Jan liked to travel with family. She loved to go new places and was successful in touring 49 states. Jan raised two sons and one daughter. She adored her two grandchildren and enjoyed added time with them in her retirement. Thank you Jan for your span of work and dedication to the employees of Fox Valley Fire & Safety. You will always be part of our family. Ron owned and operated a small local successful fire extinguisher company, Arrow Fire Equipment for many years. We got to know Ron through the years in our local market and he became a friendly competitor. We often helped him out when he needed us. So, when it came time for Ron to transition into retirement but keep his customers cared for, Fox Valley Fire purchased Arrow Fire Equipment. Ron came on board here for a year and a half during the transition, as well as, Danny, Arrow’s service technician. Ron could then step into retirement knowing his customers would continue to get great service. Ron was a friendly guy, a family man and an Army veteran of Vietnam. Ron is survived by his dear wife, Lucy; daughters, Michele and Dana; and four cherished grandchildren. Ron, we appreciate that when you were looking for someone to purchase your business you chose us. Thank you for your service and we are happy that you retired as a member of the Fox Valley Fire & Safety family. Bob came to work for us after he retired from a long career as a Mechanical Engineer. Bob’s outgoing, friendly personality was a great fit to assist with Security for the Par Development project and the new Boulder Ridge residential development back in 2000. Bob stayed with us well after that project was complete to lend his efforts for a total of 10 years before retiring permanently. Bob was a patriot who served in the Army during the Korean War, he loved his country and his family. Bob and his late wife, Anita, raised a son and daughter. Bob was a great teacher and communicator, qualities that served him well throughout his careers and family life. He told once about a big chalk board he had on the wall in the basement of his home when his kids were school age. Often when he got home from work, he would help them with their homework by “putting it on the board” and “working through it” on that big chalkboard. Bob brought that same “let’s figure this out” attribute with him to work every day. What a great example of the great man we had the privilege of working with. Bob, you were a bright spot to our Fox Valley Fire & Safety team – Thank you for your service. Lyle came to work for us in 2002 after he retired for the second time, from a long sales career with Toryan Technologies. At the time we needed a delivery driver to get equipment and engineered drawings to job sites. Our own Terri Mousel, Engineering Manager, suggested her newly retired dad apply for the part time job. 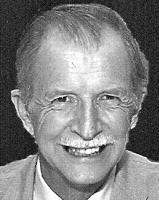 Lyle was a perfect fit with his knowledge of the Chicagoland area and his “get-r-done” attitude. Lyle was always a happy guy – a bright spot whenever he was in the office, and the same to our employees and customers in the field. Lyle loved his family – wife Lois, whom he married in 1952 and the five daughters they raised together. Lyle enjoyed the growth of his family with ten grandchildren and five great grandchildren. He was happiest when they were all together at the lake in Wisconsin. A great day started with a big breakfast, fishing on the lake, a day of family time complete with singing by the evening campfire. Lyle, we sure enjoyed the time you gave Fox Valley Fire & Safety – over 10 years. Thank you! The un-expected passing of Tom Graczyk leaves all of us in shock and disbelief. It really hits hard when we lose a co-worker and friend so suddenly. We will all miss the genuine happy guy that Tom was and the way he served our customers as a fire alarm technician. Tom provided service on hundreds of systems over his eleven years with us and treated all of those customers in the same friendly manner. Like many of us, Tom came to work at Fox Valley Fire through a connection. Tom’s son-in-law, Jason Dusinski was leaving our company back in 2005 and recommended Tom for the opening. Tom’s background in electronics from his days with Motorola provided the right fit. Tom was a family man with a wife of 30 years, together they raised two daughters and a son. Tom was a Chicago boy, graduating from Gordon Tech High School in 1980 and later earned an Associate’s Degree in Computer Science from McHenry County College. Tom loved Chicago sports, the Bears and Blackhawks in particular. He took every opportunity to coach his kids in sports as they were growing up. Tom was a guy that liked new experiences and over the last several years he had enjoyed visiting his daughters in Colorado where, as a family they all could explore the land by biking, hiking and climbing in the great outdoors. Tom, we will miss you dearly. You are forever a part of the Fox Valley Fire & Safety family. It’s with great sadness that we face the loss of another Fox Valley Fire & Safety family member. Live, Love, Laugh. That’s what Sandra Gregory was all about. She lived, loved and laughed with her family and friends each and every day. Fox Valley Fire & Safety was fortunate to have had Sandra working with us and exposing all of us to her wonderful personality, attitude and bigger than life laugh. Sandra was all about family so it’s so fitting that Sandra worked here and became part of our Fox Valley Fire & Safety Family. Sandra received the gift of life from her sister, Norma on February 24, 2014 with a successful kidney transplant. Both ladies did remarkably well with their recoveries. Sandra returned to work and enjoying family and friends. After such promise and hope for an extended life with a new kidney we are all so saddened by Sandra’s passing. Our hearts go out to all of Sandra’s family, especially her son Marcel Gonzales who is one of our Sprinkler Technicians. We will miss you Sandra Gregory, and thank you for your service to our company. Sandra you are and always will be part of the Fox Valley Fire family. Our entire company is mourning the un-expected passing of John Hansen. We are a company that has several actual families working here, and that sense of family carries over to all of our employees as many of our close friends work here too. John joined Fox Valley Fire & Safety in 2003 following his younger brother, Joe Hansen, to take a position as a Service Technician. John took care of our customers in the northwestern suburbs, inspecting, maintaining and recharging, fire extinguishers and kitchen cooking fire suppression systems. John was a man of few words but once you got to know him he had a quick wit and was very charming. John’s passions outside of work were golf, spending time with his four brothers, one sister, and his children. John was a loving father to a son and a daughter. John’s life ended all too soon. While we mourn his loss we remember the great friend and employee he was as a member of the Fox Valley Fire & Safety family. Barb joined the Fox Valley Fire & Safety family team in 2000, taking a position in accounts receivable before becoming a billing clerk. In her nine-year stay with us, Barb processed thousands of work orders before her retirement in 2009. Barb was a lifelong Elgin resident, graduating from Elgin High School and attended Elgin Community College. Barb was the loving mother to one son, Ken. She worked all of her life to support her family and held several jobs during her career before joining Fox Valley Fire & Safety. All of us miss Barb, the jokester and her great laugh. Barb’s passions in life were coffee, computers and her dog, Freckles. Barb always had a cup of coffee in hand. During her retirement years her computer and the Internet were her window to family and friends. Freckles, the dog was her constant companion and even visited her in the hospital. Barb, we hope there is a coffee shop with Internet in heaven. Jerome began his Fox Valley Fire & Safety career in 1986 as our Shop Technician. Jerome was in charge of inspecting, hydro testing and recharging all of our customer’s fire extinguishers brought into our shop that can’t be hydro tested in our service vehicles. Jerome served in his position for 24 years before retiring in December of 2010. Jerome grew up in New York and was raised as a Yankees fan. Once a Yankees fan always a Yankees fan. Jerome loved sports and all of the New York teams except for football where he showed his passion for the Dallas Cowboys. Office lunch conversations with Jerome revolved around sports and how his teams were going to beat our teams. This friendly jabbing only endeared your friendship with him. He was a big lovable friend and we miss him in the Fox Valley Fire family. Jerry served proudly in the Air Force and Vietnam, fulfilling his boyhood dream of becoming a firefighter. After his military duty, Jerry continued to serve and protect as a firefighter at Chicago’s O’Hare Airport, Glenview Naval Station and Fermi Lab. He obtained an Associate Degree in Fire Protection from Triton Junior College and a Bachelor’s Degree from Southern Illinois University at Carbondale, in Fire Science Management. A change in career brought Jerry to begin his 25-year career with Fox Valley Fire & Safety in 1979. Jerry began working as a Fire Safety Technician, serving our customers for the next 14 years. In 1993 Jerry’s friendly personality led him to work successfully as a Sales Representative. The later years, Jerry worked in our Accounts Receivable Department until his retirement on September 17, 2004. He chose this day because it was exactly 25 years to the day. Plus, the next day, Saturday, was the anniversary of the U.S. Air Force, of which he was a proud veteran. Jerry was always punctual; a must in the military, fire fighting and sales. In retirement, Jerry and Rochelle, his wife of 39 years, enjoyed traveling and spending time with their beloved dog, Snowball. Jerry brought his charm, humor, patriotism, and friendliness to Fox Valley Fire & Safety and will long be remembered for the contributions he made to the company. His Fox Valley Fire & Safety Family will remember him as a wonderful friend. Shirley began her second career at Fox Valley Fire & Safety learning our business in a general office position, after many years with Allstate. Very quickly, Shirley became our full-time typist and transcriptionist. Shirley started in 1974 long before computers were available for word processing, spell check did not exist and the only way to get more than one copy was to use carbon paper. Shirley’s accuracy and speed were important since corrections had to be made first with an eraser, later with correction tape, and finally Liquid Paper was invented. The “old timers” here at Fox Valley Fire can still hear the high speed click-clack of her typewriter. Shirley was a master at deciphering horrible handwriting, as we had not yet purchased a dictation system. She had a great talent of re-wording written communication; she made each person’s letters look great and was able to communicate based on the personal style of each person. There was no way to create or save a macro back then so each letter and contract was an original. Shirley was our “original” for 24 years, until her retirement at the end of 1998. While working full-time all those years, Shirley raised twin daughters, Diane and Donna followed by another daughter, Sharon. All three girls have fond memories of their childhood with their wonderful mother. Shirley was also a very proud grandmother to 3 granddaughters and 1 grandson, and a great-grandmother to 3 great-grandchildren. 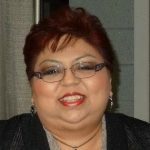 Shirley attended our Annual Employee Appreciation Banquet in 2008 as a special retiree guest. It was wonderful to have Shirley in attendance and welcome her to her Fox Valley Fire Family Reunion. Fox Valley Fire & Safety is a “family” company that exudes that sense of belonging. Many of our past and present employees are related to, or are friends with someone that works here. It’s often said on your first day, “Whom do you know and how do you know them?”. Steve Matousek “knew” his brother Tom Matousek, already a FVFS employee; back in 1986 when he took what he thought was a temporary job as a Standard Products Sales Representative. Steve was born and raised in Algonquin, IL, and a graduate of Jacobs High School. With a Bachelors Degree from Southern Illinois University at Edwardsville, Steve was a natural salesman with the charm and wit to close the deal. In 1994, Steve’s sales success led him to work beside his brother Tom as a Fire Alarm Salesman, and later joined by another brother, Dave Matousek. Three competitive brothers all selling the same thing made for some interesting discussions. Steve’s annual sales efforts contributed greatly to the growth of the Fire Alarm Division and Fox Valley Fire & Safety. On the personal side, Steve was a proud father to three daughters. He loved to tell a story, had a great laugh, and often flashed the “peace” sign as he left the building. With a life cut too short, we will all miss Steve’s contributions to Fox Valley Fire & Safety, both professionally and personally. Bonnie HarrisBonnie began her Fox Valley career as our Office Mail Clerk. The daily mail was delivered with her friendly demeanor. Shortly, an opportunity as Purchasing Clerk came her way. In this position, Bonnie gained valuable knowledge of the “ins and outs” of our Shipping and Receiving Department. Her diligent work ethic, responsiveness to department needs, and belief that the right way to do a job is the only way to do a job, made Bonnie the obvious choice for Purchasing Manager in 1991. As Manager, Bonnie implemented and taught many of the procedures still used today. Bonnie is an example of a conscientious employee succeeding within our company. Although Bonnie loved the Southwest, upon her retirement in 2001, she returned to her native state of Michigan. She was now near what she loved most, her family; three daughters, one son, 9 grandchildren, 26 great grandchildren, 6 great-great grandchildren.